Losing weight may seem like a dream to many of you. The truth is that most of the people who are reading this may be already on the verge of losing all hope to lose weight. It is true that weight loss is not a simple process that is why it requires a complex approach as well. Many people think that if they exercise regularly – they will end up looking fit in a matter of weeks. However, the process rarely works in such a way. There are many more details to successful weight loss than just a set of exercises, and that is exactly what we are going to discuss today so that the next time you set your goal – you achieve it! It is important to know what for you need the working out routine. 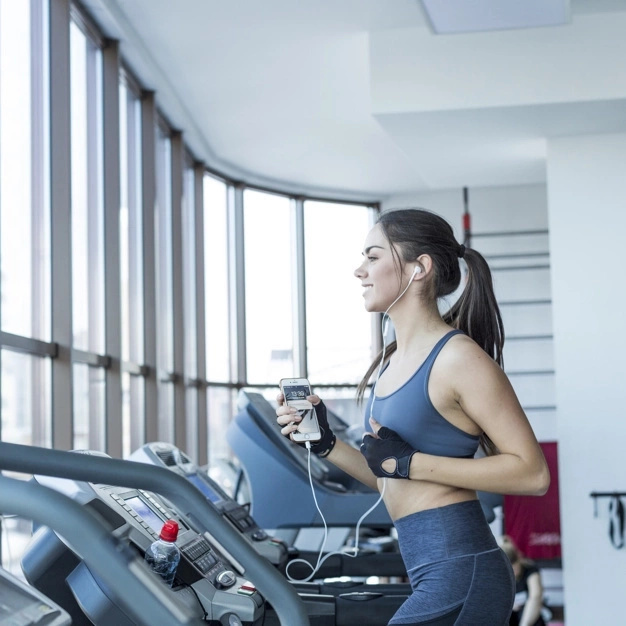 In case you want to lose weight – you should better stick to some cardio while you wish to gain lean muscle – then strength workouts are your best friends. Determine the goal and chose the approach then you will succeed. It is not only important to come up with appropriate exercises for your workout, but it is essential that you have the plan, the sequence in other words. You do not have to be wandering around the gym thinking what to do next – you have to know precisely what to do next only then you will reap the fruit of the result. It is highly important to track your success altogether with your workouts. If you think that the result is not good enough, then you change the frequency of the workout or the intensity. Unless you are a professional fitness model or trainer, then isolation exercises are not something you should be concentrating your attention at. You should fill in your workout time with the exercises that have an effect on several muscle groups instead of one then you will have a better and faster result. You shouldn’t do your exercises mindlessly. Surely, the gym is the place to sort of relax, but you have to be aware of your body when you are working it out. It is essential to know which muscles you are working on, and you should focus on them too. In such a way, you will increase the effect of your workouts. Many women are somehow afraid of working with weights while they shouldn’t be. There is still no case when a correct workout with weight has done someone any harm in most cases it is quite on the contrary. Do not start with heavy lifting, just gradually introduce some weights into your routine and your muscles will thank you. When you finally start working with weights, you will notice that there are a certain weight and a certain amount of repetitions you can do during one set. When it seems that you can’t go on with one weight – it is time you decrease it within one set in such a way you will increase the number of reps without causing your body any harm. No matter how you like the routine you are dealing with there is always a time you have to change it. It is no that you are bored of it, however in many cases that play a huge role too, but that your muscles are already adjusted to the routine, and there is barely any result coming out of it. If you switch the routines every two months, you will notice a dramatic improvement to your outlook that is for sure. No matter how badly you want to get back in shape, it is essential that you give your body some rest otherwise it will be too tired and stressed to go one with a positive result. Make it every fourth day a rest day or whichever another day that suits you but make sure you allow your body to rest and restore. Last but not least, very often it seems that you are doing all the stated above but nothing happens – the core of the problem is your diet then. If you do not fix it any time soon, there will be clearly no use of following all the stated above rules since the result will leave much to be desired no matter what you do. Healthy and fit body Is not only hard physical work – but also healthy way of eating. Once you combine the two, you will succeed with anything!